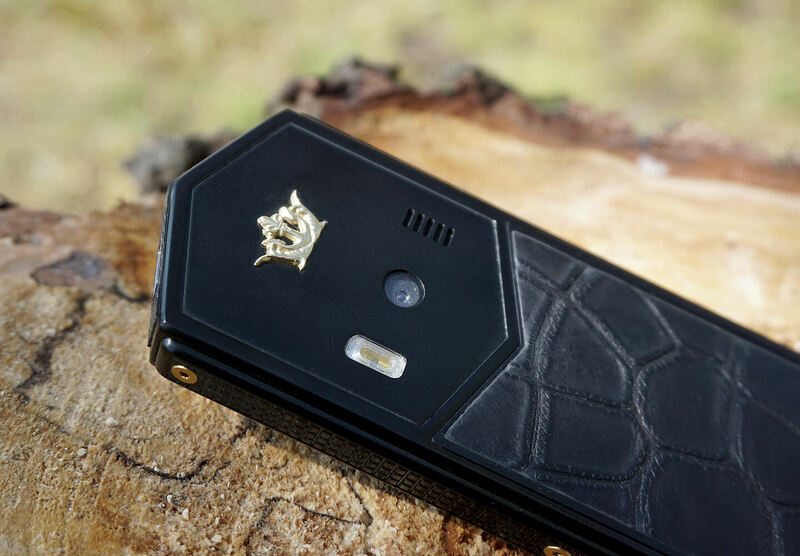 The Viking Rurik Gold is a very luxurious, classic and exclusive mobile phone from Caviar. 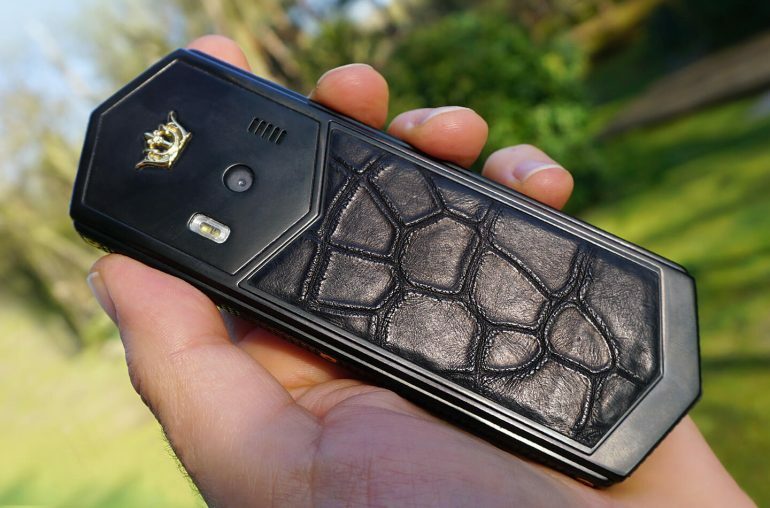 The black titanium phone is covered with natural alligator leather. Caviar is a Russian manufacturer that pimps existing phones with luxurious materials, like gold and titanium, to create a unique and exclusive device. 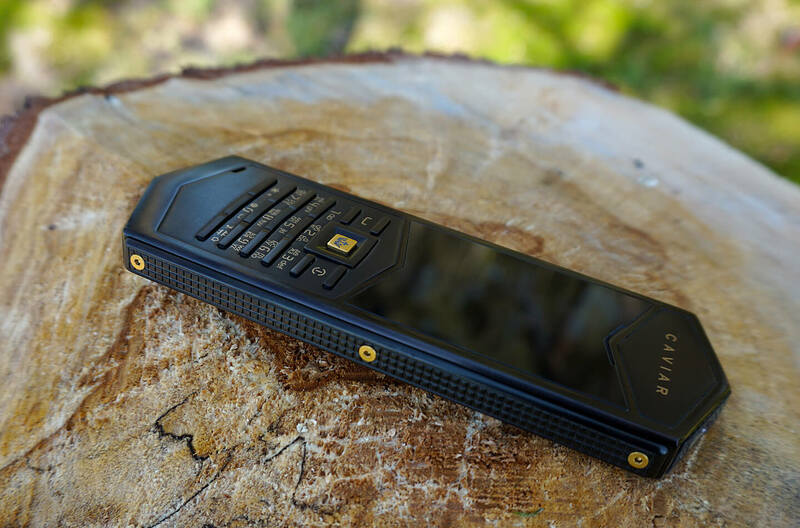 At the beginning of this year, Caviar introduced the Viking Rurik Gold, this phone is inspired by Rurik the Viking. LetsGoDigital has received a test copy of this Limited Edition phone, how does it feel to have a $4000 USD phone in your hands? The Viking Rurik Gold is part of the Tsarphone family, this series is based on the history of Russia in the period of Scandinavian Viking leaders. The Tsarphone series is characterized by the pointed design on the top and bottom of the device. This design symbolizes the sharp sword with which Vikings used to go to battle. Rurik the Viking was a Swedish Viking chief who ruled the Novgorod area in the northwest of present-day Russia around 860 to 880. By many Rurik is seen as the founder of what is now Russia and Ukraine, he was also the founder of the Ruriken Dynasty, which ruled Russia until 1598. The imperious decisiveness, courage and military skill of Rurik made Caviar come up with this unique phone design. The test sample that we received was in the original sales package. The beautifully finished leather box has the golden “Caviar Royal Gift” logo on it and feels extremely heavy. You can hardly imagine that there is just a phone inside. As soon as you open the box, the device shines at you. The beautifully designed black phone with gold accents lies in a soft velvet bed. When you pick up this luxury phone you immediately feel by the weight that this is not a normal device. The physical buttons are also immediately noticeable. Although Caviar also has the latest iPhone and Galaxy models in store, the Viking Rurik Gold has opted for a classic device as the basis. This is the Nokia 6500 Classic from 2007. Do you remember? This mobile phone runs on the S40 operating system, has a 2.4-inch color display and 1GB of memory. We are not talking about the number of RAM here, but about the storage memory. The random access memory is limited to 32MB RAM. In addition, a 2 megapixel camera is built in and an 830 mAh battery, which ensures a long standby time of up to 300 hours. The 3G network can be used for the internet. You may understand, people don’t buy this device for its powerful specifications. 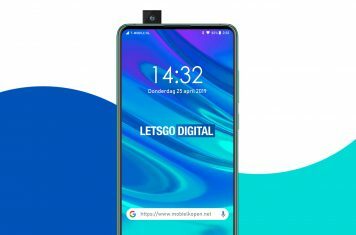 It is a classic model, ideal for the somewhat older businessman who likes to look stylish, but does not want to participate in the craze of today’s smartphones. 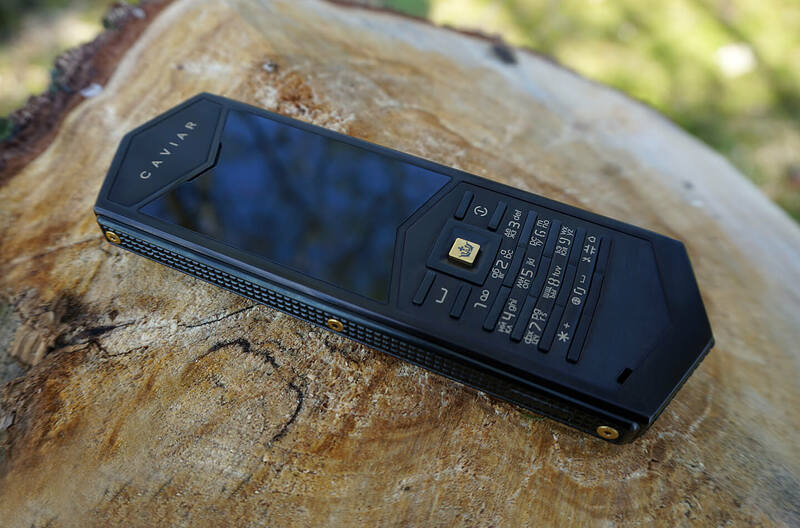 Although Caviar also has several striking phone models in its portfolio, this device looks relatively modest, but no less stylish. The Viking Rurik Gold edition from Caviar has a polished titanium housing with anti-corrosion characteristics. The black buttons with golden numbers are also made of titanium. The screen is fitted with Gorilla glass. The rear of the device is largely inlaid with black alligator leather with black PVD (a strong, paper-thin protective layer). Carbon and titanium have also been used. 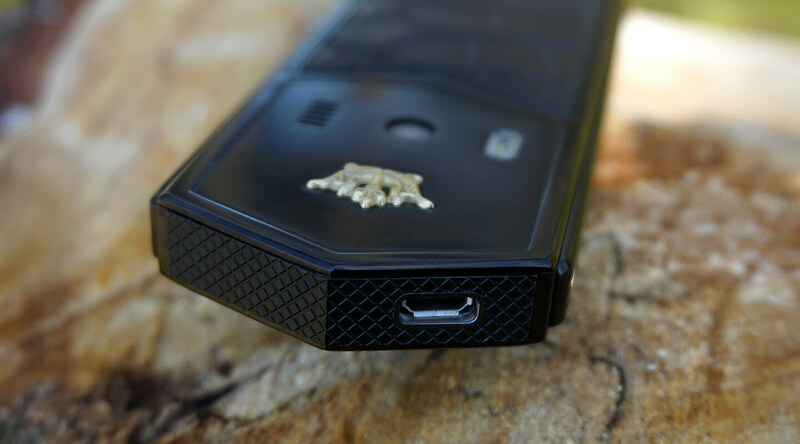 Both on the front and back of the phone you will find the Caviar logo; a stylish crown. The logo on the back consists of pure gold (18 carats). Also a unique number is engraved on the side of the device. A total of 99 handsets were made of the Rurik Gold, LetsGoDigital received number 17. The connection for the charger can be found at the top. With this Caviar phone you definitely have an exclusive phone in your hands. As soon as you pick up this phone, you can feel by its weight that this is a true quality product. We don’t have to talk about the price very long. Of course for most people $ 4000 USD will be an absurd amount of money to spend on a phone, especially for a device that is over 10 years old. But Caviar targets a completely different group of people, like the rich businessman who is looking for a wonderful gift for his business partner. In these cases an iconic Nokia 3310 of €75 won’t do the job, but a pimped device like the Viking Rurik Gold will certainly be appreciated. The company has also released a Rurik Black Edition in the past. This device has many similarities with the new model, but the golden elements are black in this model. Here you can find the full collection of Caviar TsarPhones.